No one is messing with these sassy felines, out strutting their stuff on a sunny day. Fun cat decal appears on black cotton inside of gift box; black ribbon and golden cat accent lip of lid. A Purr-fect gift box for any Cat Lover! 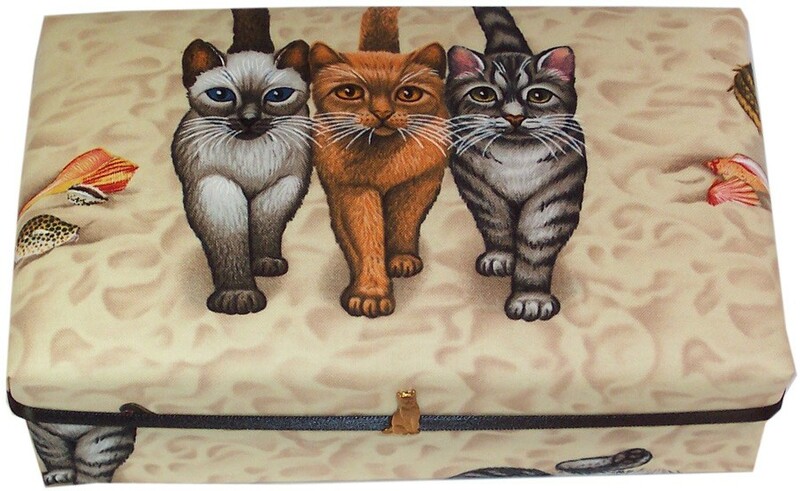 Comes in one size only - 7"x4.5"x2"
Purr-fect gift for the cat lover in your life! 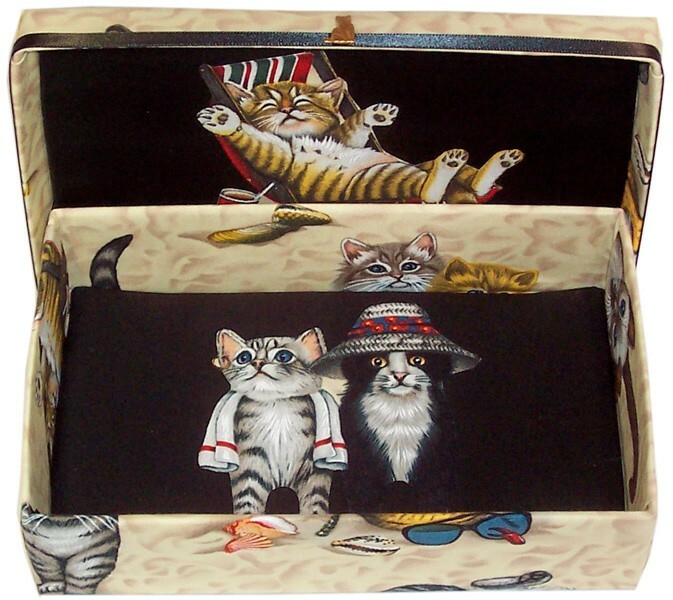 Can hold jewelry, small treasures and feline memorabilia.